On the day(s) of occupancy, this place is exclusively for yours only. A maximum capacity of 25.
we offer optimal spaces for family or friends outings. including private parties and temple visits. to be more special than ever. In addition, various services are also available including private parties and temple visits. 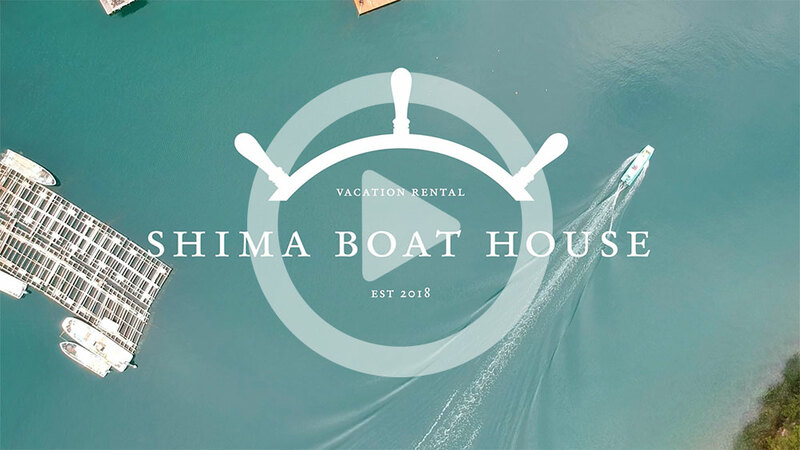 SHIMA BOAT HOUSE shows environments where you can enjoy a variety of experiences in addition to comfortable lodging. For example,enjoy BBQ, making pizza, Private screening of your favorite movie. We sincerely hope all visitors to have lasting memories and an experience of a lifetime while spending quality time with their friends and families. We also present diverse food services in order for everyone visiting SHIMA BOAT HOUSE to take full advantage of local food ingredients. We strongly recommend you to try gourmet dishes made with ingredients cultivated under the magnificent natural environment of Mie region. 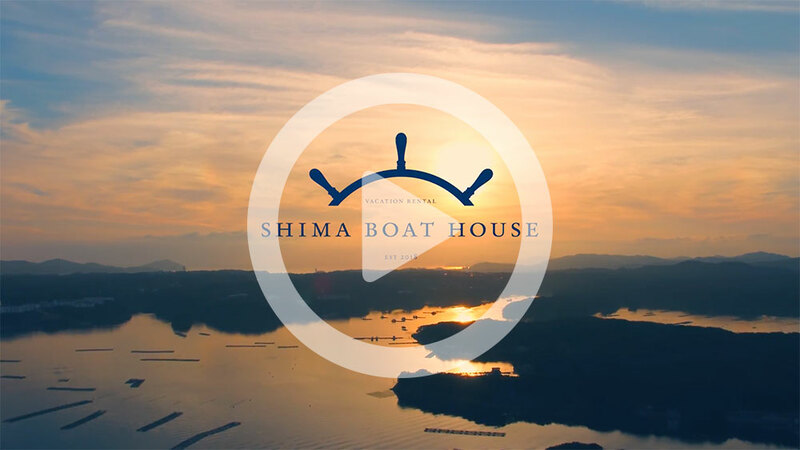 ※ Please be sure to type “SHIMA BOAT HOUSE” when searching through Google Map. 8minutes on foot from Kashikojima Station. 40minutes by car from Ise Jingu. 2hours by car from Nagoya. 2hours half by car from Kyoto. *EV・PHEV charging battery charging box available. bakery, and day trip bath etc. within 5 minutes by car.